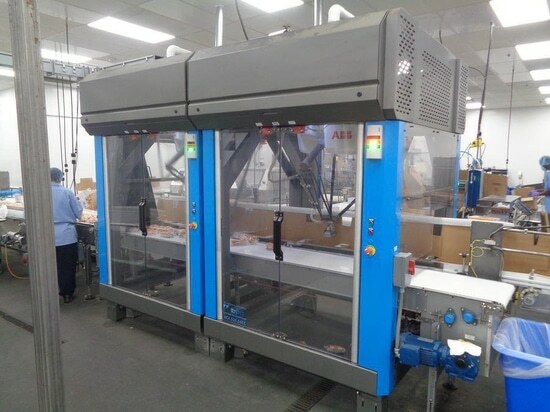 The addition of a vision-guided robotic carton loader for two-packs of ‘sliders’ at White Castle’s Covington, KY, plant helps alleviate challenges resulting from a tight labor market. The plants involved were White Castle’s Vandalia, OH, and Covington, KY, facilities, which produce the fast-food burger chain’s “sliders” for retail sale. The latter plant produces four-, 16-, and 18-count cartons of the small, square burgers, which are flow-wrapped in two-packs in a frozen state. Rife says the inspiration for automating the cartoning process came from viewing similar solutions at PACK EXPO Las Vegas 2015. After doing some homework on potential equipment, the White Castle team enlisted the help of an account executive at BluePrint Automation, who introduced them to some of BPA’s capabilities. During operation of the packaging line, two-pack flow-wraps of sliders to be loaded into cartons are fed to the robotic cell by a conveyor leading from a spiral freezer. The packs exit the freezer in a random orientation spread across the conveyor, which measures around 16 in. Once the packs enter the robotic cell, the vision-guided robots pick them from the conveyor, turning them in the correct orientation before loading them into a waiting carton. The robots load three cartons at a time in a counter-flow method, where cartons are conveyed in the opposite direction from incoming product. Once three cartons are loaded, they are discharged from the robotic cell, after which they are checkweighed and sealed. 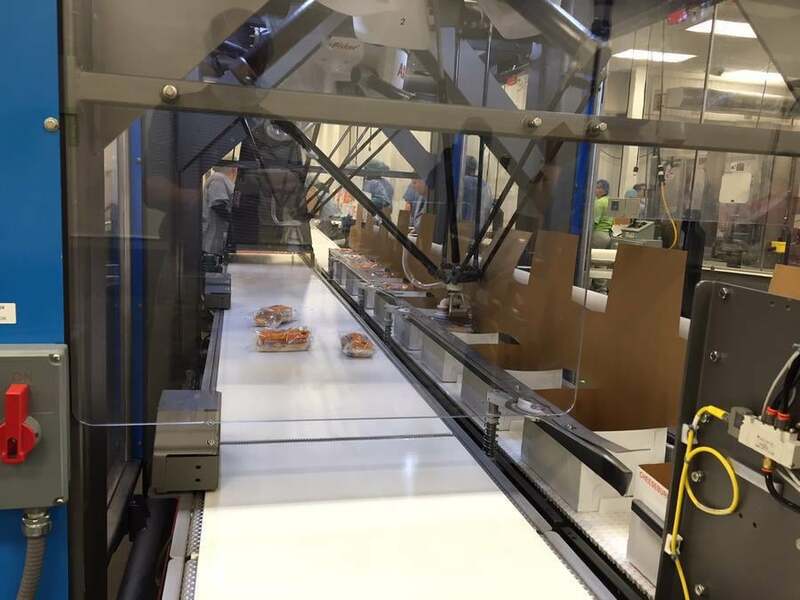 After having used the system for more than a year and a half, Rife says White Castle is very pleased with the performance of the robotic cartoner and its VGR capabilities. “Because we had never used vision before to pick up our two-packs, there was some concern it wasn’t going to work properly,” he admits. “Some of our product is in labeled film, and some of it is in clear film. We weren’t sure if the camera would be able to see the packs with the different types of film, but we haven’t had any problems.